Look at the ‘Ol Girl Now, Fellas! – CPA Theatricals, Inc.
Look at the ‘Ol Girl Now, Fellas! This morning I woke and on my to do list was to write a blog. Then, I learned that Carol Channing passed away. I thought for a little bit about not writing about her…many people have said so much already…nothing left to say… But, then, I realized I would be remiss or maybe even negligent if I did not. So here goes. I was one of the many who saw her perform live twice. The first time was when I was in college and I was taking a mime class at Loyola University – no kidding. The teacher had arranged for her class (of mimes) to perform on a large tour boat on Lake Michigan. 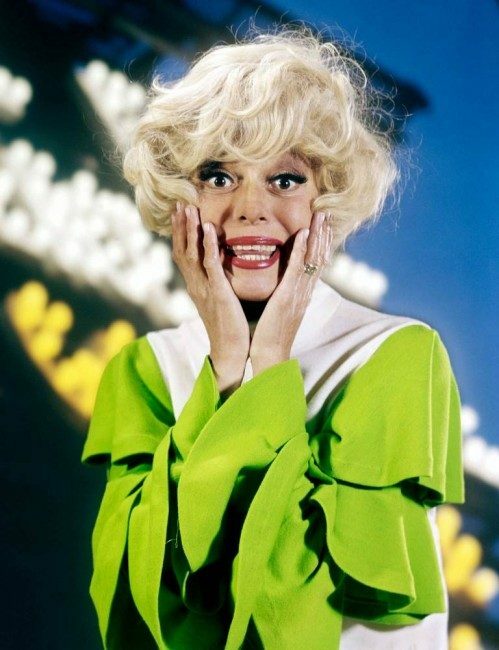 As payment, we received tickets to see Carol Channing in HELLO DOLLY. Somehow, I secured another ticket and my Mother joined us. We had great seats in the gigantic Arie Crown Theatre. And, we got to meet her (along with about one hundred other fans) after the show. She was funny, sincere and well….real. She told us about her wigs, her shoes and her makeup. At that time, she had realized the toll that all of those “accessories” that helped her become Dolly Levi had taken on her. She told us that she no longer wore false eyelashes because they were hurting her eyes – she now painted on her eyelashes. She had to stop coloring her hair because her hair was falling out, so she just wore wigs all the time. And she told us that she could no longer wear high heeled shoes. So she wore some version of “sensible” shoes that looked like high heels. She performed in thousands of performances of HELLO DOLLY – and only missed ½ of one (she recalls in Kalamazoo when she got food poisoning and had to go directly to the hospital in her costume at the end of Act 1) – over decades. There is an old theatre legend that says – HELLO DOLLY was in previews outside of NYC before its Broadway run, and the show was in trouble. Not many laughs, not a lot of applause at the end. The producer, the legendary David Merrick, was furious. He had paid Jerry Herman to write the score, hired the acclaimed director Gower Champion and personally hired Carol Channing for the lead role. And, he wanted this …needed this…to be a huge hit. He reportedly told the creative team to do whatever it took to fix the show. And fix it FAST. So, after conversations with the team, including Channing, the common thought was that the audience did not relate to Dolly Levi enough. She wasn’t “human” or likeable enough. So, Herman stayed up till all hours of the night writing was to become “Before the Parade Passes By.” When he finished, in the wee hours of the morning, he called Channing and said, “get down to my room now, I have a new number.” She ran down to his room in her pajamas and sang the song. The song was put into the show the next day, and the audience reaction was decidedly different. The show would become a hit. Goodbye to theatre legend Carol Channing. « Why are we in the theatre?